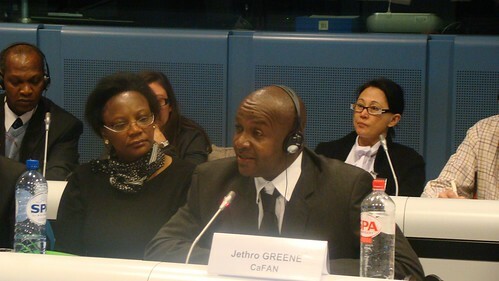 Jethro Greene speaks at the Brussels Briefing. On February 2nd, 2011, the CTA organized a Brussels Briefing on Geopolitics of Food in cooperation with DG DEVCO of the European Commission, Concord and other partners. 159 policy-makers from the European Commission, the Council and EU and ACP embassies followed the discussions live in the European Commission, with another 80 followers of the internet webstream. The entire video documentation of the event, video interviews of the speakers and some of their PowerPoint presentations are available here. Our next briefing will take place in April. We will soon provide you with more information about it on this weblog.